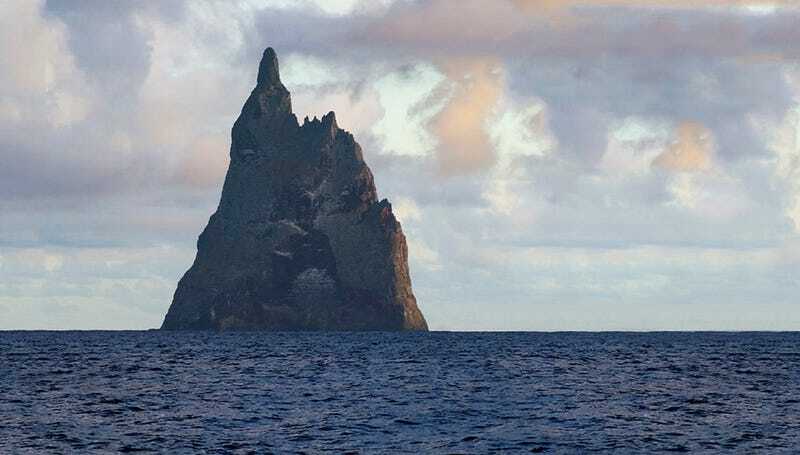 If you think this island looks like it might be the secret, centuries-old hideout of a gigantic creature, you're absolutely right. Welcome to Ball's Island, the ancient former volcano that's also the home of the land lobster. At first glance, the land lobster (Dryococelus australis) looks like the nightmarish spawn of a cockroach and a scorpion. Except that it's the size of your hand. But before you start yelling, "kill it with fire! ", I suggest reading Robert Krulwich's heartstring-tugging piece on NPR about how the insect came to live on an otherwise uninhabited rock in the middle of the ocean.